Road cycling has evolved over the years and our preferences have shifted from rim brakes and low volume tires to disc brakes and high volume tires. As such, is the need to create a fork that matched these preferences while maintaining the premium ride quality ENVE forks are known for. Building upon nearly a decade of experience making the world’s best forks, ENVE's latest road disc fork features a modern 32mm of tire clearance, a low axle to crown height of 370mm, internal hose routing, and a light weight one-piece from drop-out to steerer construction developed specifically to handle the demands of disc brakes, rough roads, and large volume tires. 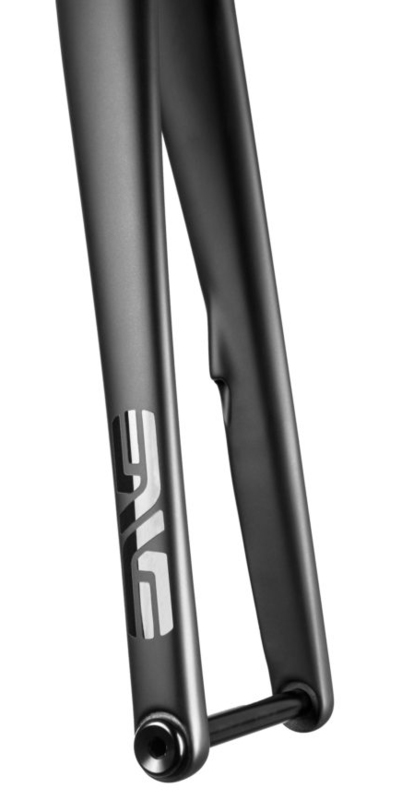 The ENVE Road Disc Fork Thru-Axle features a solid 12mm alloy thru-axle. Up to 32mm tire clearance meets the demands of modern riders. 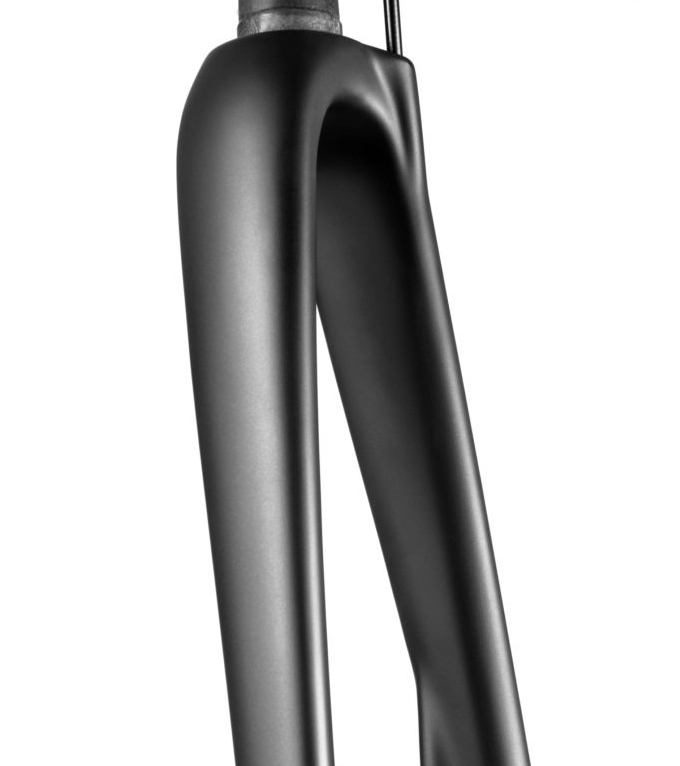 Full carbon construction is not lightweight, but also creates a supple ride while maintaining a high level of durability. Internal brake hose routing keeps the appearance nice and clean.